Now that the car is in my possession and I can start ordering parts and looking into them seriously rather than dreaming, I’m getting familiar with a lot of the different VIP styles out there. I’m pretty sure I’ve only discovered 5% of it, if that. Before I go into the Aimgain stuff, I just wanted to keep everyone posted on the car. Last night after my previous entry, I went ahead and ordered the Prestigious Society Air Suspension Controller – courtesy of lovely Diana for my early Christmas present, and the bypass unit – courtesy of my sister/parents for my Birthday present. Did I mention – December is the best part of the year for me? All that fancy stuff should be here in a week. I also wanted to give a shout out to Prestigious Society for their customer service. Didn’t matter if I emailed them at 11PM at night or 9AM in the morning – they answered within 10 minutes. In fact, I unintentionally pretty much asked all the questions that were answered by their FAQ page. I’m usually pretty good with checking that stuff out first, but they still answered every single question with detail. At the end of it, they just offered to ship both products out with a lower shipping rate. Anyways – moving on to Aimgain. 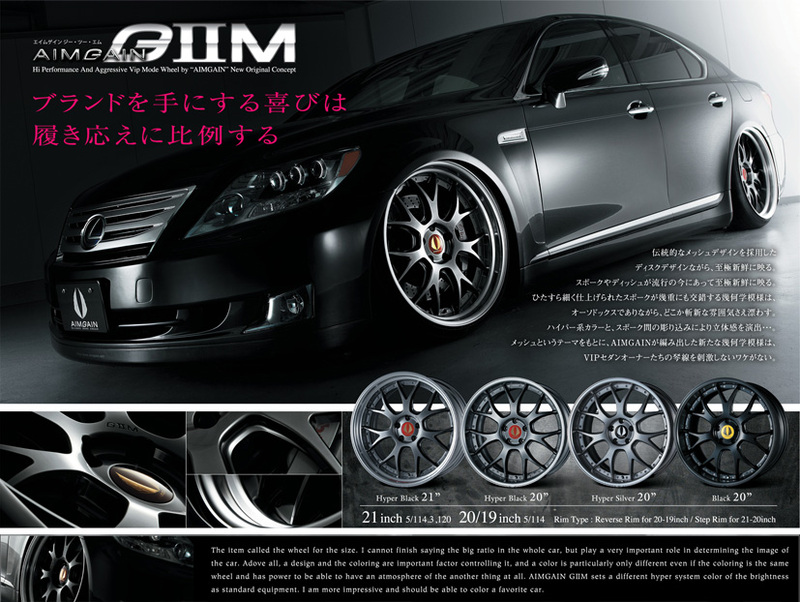 Been looking at their Aimgain GIIM wheels and I fell in love. They’re kind of reminiscent of BBS’s but it has more dish and the styling is a little more aggressive. I’ve been debating on whether to get 20″, 21″ or 22″. 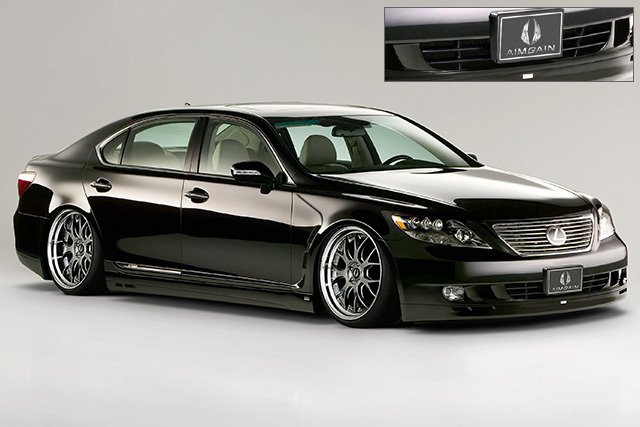 20″ may be too small for the LS body, but easier to sell down the road. 21″ seems like it’s right in the middle so I can’t really go wrong. 22″ seems perfect from seeing what everyone else is running, but it’s expensive as f*** and probably impossible to sell later. Their aero is sick too. Now I’m in a tossup between Aimgain and Wald. I’m sure there’s a bunch of other kits, but I need simple and classy. I haven’t seen too many Aimgain kits out there compared to Wald and Junction Produce. Ah well I got a few more months to decide what to do. I need to get wheels first. 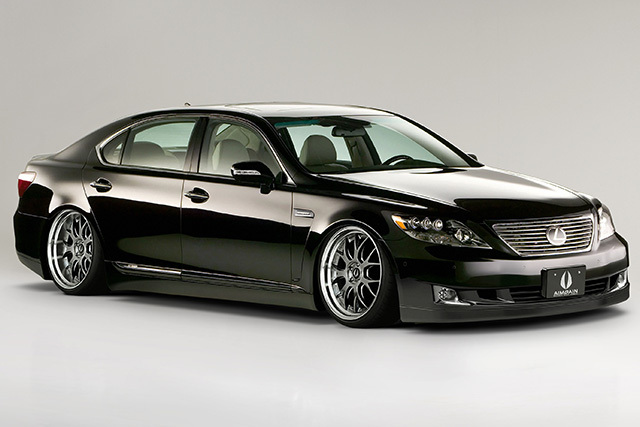 I can’t stand having a car without wheels – even though it looks sick dumped on stock wheels – it still kills it for me. Now to find a place to get me Aimgain stuff..
← Queen LSabeth is Home! You see ads? I don’t see any at all… haha where is it!? I see it too. Right between the last sentence of your post, and the Rate This stars. Also, those wheels are amazing. WTF I don’t see anything. Has there always been ads on my blog?? So how is this going to work? Will the significant other become your chauffeur or are you running a VIP pick-up/drop-off service now? hahahaha I wish either of those were true. I’ll just have to sit in the back when I park and enjoy it when I can.